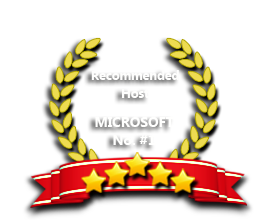 ASPHostPortal is now supporting Windows Server 2012 R2 Hosting. Windows Server 2012 R2 is the "Windows Server Blue" update for Windows Server 2012. Utilizing Storage Spaces, R2 delivers breakthrough performance at a fraction of the cost, according to Microsoft. R2 also features software defined networking, virtualization and live migration, access and information protection, Java application monitoring, and more. Windows Server 2012 R2 is a proven, enterprise-class cloud and datacenter platform that can scale to run your largest workloads while enabling robust recovery options to protect against service outages. ASPHostPortal.com is focused on providing the best value in innovative Microsoft Windows hosting for Microsoft/ASP.NET developers. We work hard to be an early adopter of new Microsoft technology. Our team is proud to be one of the first hosts to launch the latest Windows 2012 R2 Hosting with IIS 8.5! The Windows 2012 R2 Hosting platform is ideal for developers that want to be on the cutting edge of new technology. On this new platform, we support the latest .NET Framework - ASP.NET 4.5.1. Try our FREE Trial Hosting with risk free, including a free automated installation in Windows Server 2012 R2 , to get you up and running quickly. Our Windows Cloud Hosting fully supports Windows Server 2012 R2 hosting. You are more than welcome to try our Free Windows Cloud Hosting before you decide to buy. You can get your Free Cloud Windows hosting account up and running within the next few minutes.